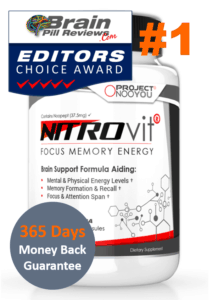 BrainStorm Review: Incredible neurotransmitter support or simply a vitamin for the brain? Our initial thoughts were of intrigue and scepticism. BrainStorm contains over thirty ingredients, many of which are vitamins. Vitamins are nice and all, but we were looking for effective relief from our sluggish thoughts. 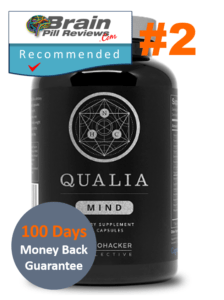 Yet perhaps they have perfectly formulated the ingredients in Brainstorm to provide top notch neurotransmitter support and they have included each ingredient for a reason? 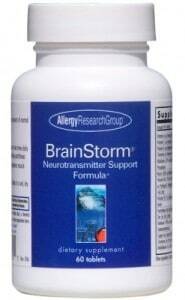 Allergy Research Group (ARG) has manufactured BrainStorm, which is based out of California, the US and has provided hypoallergenic nutritional support since 1979. 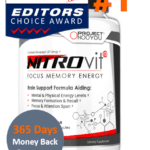 ARG publishes a newsletter and even participates in nootropic research. They have well-maintained the website and ARG even provides customer and technical support. There are 60 capsules in one bottle of BrainStorm. The directions say to take one tablet once or twice daily with meals, so one bottle would last you one or two months. Believe it or not, BrainStorm formula have crammed over 30 ingredients. 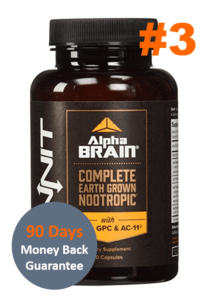 The first group includes vitamin A, C, and E, all of which are vital for normal human growth, and also vitamin B6 and B12, which they used to promote neurological health. 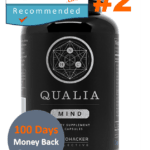 Other vitamins include thiamine, riboflavin, and niacin, all of which are vital for basic neurological and cellular function, and folic acid, biotin, pantothenic acid, and zinc, which are used by the body for DNA formulation, immune function and neurologic health. Believe it or not, the vitamins in this densely packed formula continue. BrainStorm also includes selenium, copper and chromium, which maintain iron and blood sugar levels. Other ingredients include molybdenum. Although a deficiency is rare and its exact function isn’t quite understandable and boron. Which appears to increase estrogen in menopausal women. 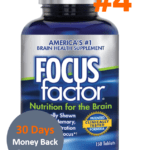 What is interesting to note is that the amounts of these vitamins are nearly all below the recommended level, however on the other hand, many of the vitamins in BrainStorm one can consume through a regular diet and supplementation is rarely necessary. Finally, many of the supplements include in BrainStorm are poorly understable and rarely used as supplements, such as molybdenum. However, the second group of ingredients in BrainStorm is a bit more familiar. In the group are ginkgo extract, bacopa, eleuthero, asian ginseng, and gotu kola, all of which come from natural plant extracts. Ginkgo extract is thought to improve blood circulation, bacopa may increase certain brain chemicals involved in neural processing, eleuthero (siberian ginseng) is thought to contain certain chemicals that increase mental function, asian ginseng is used to improve thinking and concentration and finally gotu kola is thought to decrease inflammation in the body. 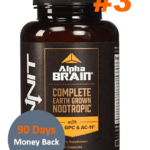 The next group of ingredients include the more specialized nootropic chemicals. 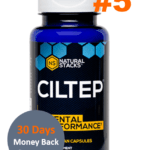 L-glutamine is used to treat ADHD, l-tyrosine maintains mental alertness, n-acetyl-l-carnitine helps the body produce energy, choline bitartrate maintains nervous system function, and inositol balances chemicals in the brain. Phosphatidylcholine is important for memory function, quercetin and cayenne pepper may reduce inflammation, and finally liposerine phosserine powder, which oddly enough we could find no information on. Again, it has included many of these ingredients such low levels that it’s hard to know if they’re going to at all be effective. If you order directly from Allergy Research Group’s website, one bottle will cost you $28.32 (USD). We found a few bottles sold for cheaper on Amazon, the average price being about $20 (USD). -Since there are so many ingredients, many of which include at such a low level. You may not notice any changes. BrainStorm appears to us less like a nootropic, but more like a simple vitamin for your brain. There are many vitamins, but most are at such low levels that it’s hard to know if we would benefit at all. However, if you’re interested in a gentle and supportive supplement for your brain. Tthen BrainStorm may be the perfect nootropic for you.